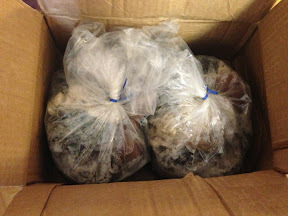 This morning I picked up my order from Rodney. 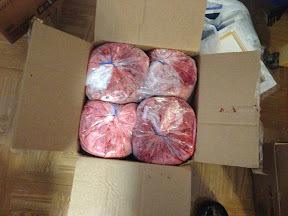 10 lbs green tripe chunks. 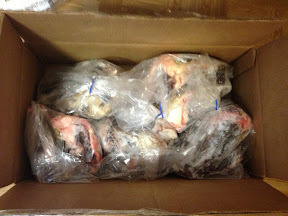 Of course, I place some in the sink to thaw, and portioned it out this evening. Pardon the segue, but speaking of portions, I've been to two different stores in the last few days, and have been unable to find my beloved Ziploc Perfect Portions bags. 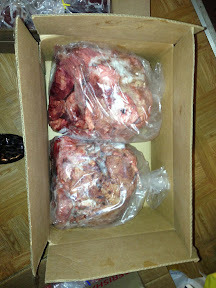 These are are great for lung chunks, and also other chunked meat. I'm going to be quite disappointed if they've been discontinued. 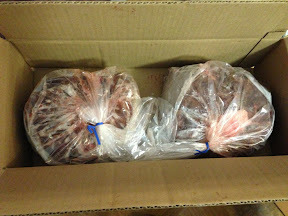 Anyways, a picture of 10 lbs green tripe chunks, 10 lbs pork heart, approximately 10 lbs beef heart and 10 lbs pork lung, broken down and portioned. 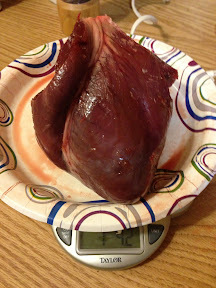 The largest pork heart I've encountered!! This one weighed 20 oz! 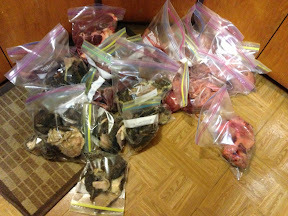 Most of the other pork hearts I get are usually 6-12 oz each. This one was huge! The greenest tripe I've purchased. I'd assume this animal was grass-fed, based on this dark green color. Les was in the living room watching TV while I was working on this. The tripe smell made its way in their, and he was disgusted. Hahahaha!! Nice! 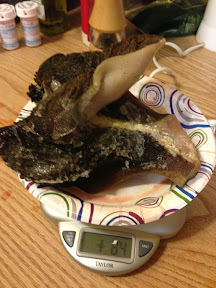 I haven't seen pork lung around here, and that's something I'd like to try feeding. The Basenji probably wouldn't eat it (she rejects four-legged animals in raw form, go figure) but the Shiba surely would. Dang, that's some nice lookin tripe! 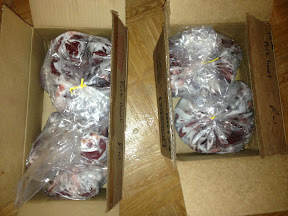 I'll probably get beef lung as start and once I get Saya's own freeze I'll be able to order some other things.